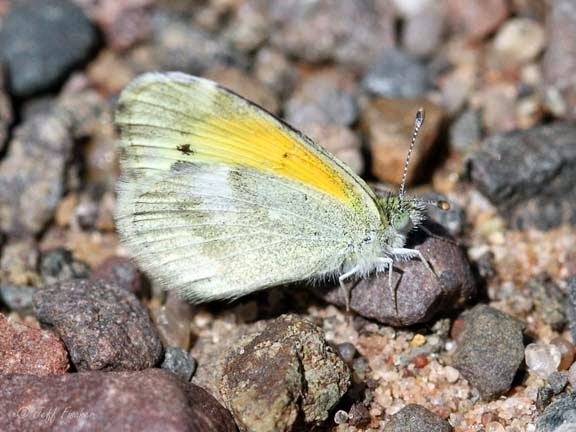 The dainty sulphur is a small member of the sulphur butterflies. Sulphur butterflies are easy to identify because they are typically mostly yellow in color. The only other primarily yellow butterflies in North America are swallowtails but they are much larger and have "tails" on their hindwings. 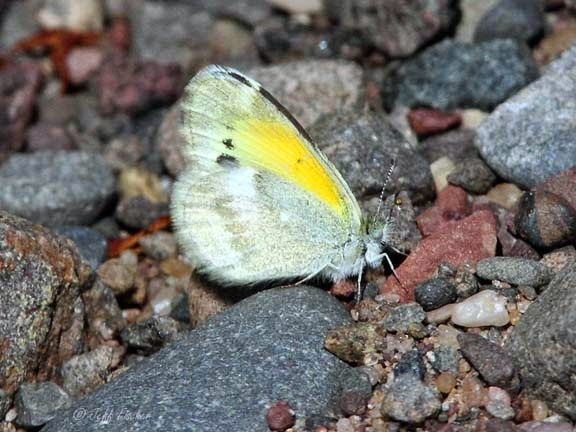 The dainty sulphur is typically found in the southern United States and Mexico, however on some year they invade northward out of their normal range and can be seen as far north as Canada. In 2012 it was an invasion year and I was able to photograph dainty sulphurs around home. Males are often found on the ground in sand or dirt where they are looking for salt which they can present to a female.